projector oem innova tipe Q projector led single beam output lumayan bgs,rata cut off jelas uda 1set sama drivernya. harga sepasang Minat lsg sms/wa 0817377695 Line er..
projector oem led alphard lensa projector double. lampu utama led. 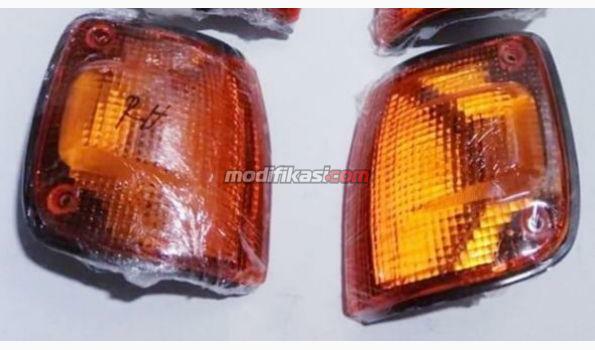 projector low beam & high beam projector ori copotan mobil. harga per pcs uda termasuk drivee dan..
projector oem cx5 hid projector ori copotan mbl cx5 hid. tipe bulb d2. bowl ms kinclong.uda dites nyala output masi bagus. harga bowl projector include shroud Aja tdk te..
Lampu LED Plat Nomor S Class W220 (99-05), W220 AMG KODE 2372 - Harga 380rb Berminat? Chat admin kami : 0878 0908 7889 (sms/tlpn/wa) -Barang baru -Barang import -Hig..